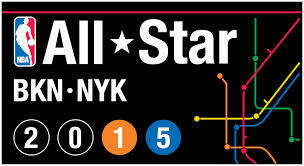 We are just days away from All Star weekend in the Big Apple. Here are the All-Star Weekend predictions. Team Bosh is the reigning back-to-back champion, but it is time for this squad to be taken down. In the past five years, four of the five winning teams have consisted of a current big man (Bosh, Bosh, Horford, Nowitzki). The only other big man in this race is Anthony Davis, who is paired up with arguably the best WNBA player, Delle Donne. Winner: Team Davis. All participants of the Skills Challenge are elite ball handlers, but out of the entire pool, no player creates off the dribble better than Jeff Teague does. Teague is arguably the quickest guard in the NBA, and this contest will come down to who wants it most. Winner: Teague. The strange part about this year’s pool is that it does not consist of a big man, as previous contests have (Kevin Love, Dirk Nowitzki, for example). Every contestant is either a shooting guard or a point guard. Nevertheless, I expect Kyle Korver to win this contest because he just refuses to cool down. He is currently shooting his way to 50% from behind the arc. The All-Star snub’s hot hand will not cool down for this event. The Splash Bros will have to find another pool. Expect records to be broken. Winner: Korver. This new format (USA vs. World) promises to be interesting. I am picking Team World, but before you call me an anti-American, just take a look at America’s roster. The World is longer, better at defense, and will dominate with its big men. Team USA lacks several solid defenders. Winner: World, Wiggins wins MVP. Of all of the events throughout the star-studded weekend, the Sprite Slam Dunk contest always tends to be the most popular. Interestingly, no player in this year’s contest is older than a sophomore. The winner? Easy. Zach LaVine. The Timberwolves rookie may be premature in other parts of his game, and he may be on the shorter side out of the contestants, but man, can he dunk. Crowds used to pack themselves into small gyms to watch him throw down highlight reel dunks back in high school. Look him up and be amazed. Winner: Lavine. Finally, we get to the big game. At first, the Western All-Star team selection went through heated controversy when Lillard and Cousins were not selected to the team. After injuries took out Kobe Bryant and Blake Griffin, both players are now getting their shot to participate in the festivities. I choose the West to win this contest in a blowout. Damian Lillard, who has voiced his frustrations about not being originally selected to the team, will go off in an unforgettable performance. Winner: Western All-Stars 157-128. Damian Lillard wins MVP.